With the trade deadline hotly approaching, the baseball world has been focused — some might say too focused — on the possible sellers and buyers and who’s going where. Naturally, the teams that are going to sell by the deadline have some big issues to deal with in the offseason. And even more naturally, it’s easy to blame the manager for any and all of a team’s issues. But it’s always difficult to blame coaches for all of said issues. Sure, if the bullpen has been poorly managed and a pitcher who probably shouldn’t still be in the game blows a late lead, well that typically is the manager’s fault. However, when a team isn’t playing well and the stars aren’t living up to expectations, a coach isn’t really at fault. Chemistry or locker room culture, though, does directly fall on the manager’s lap, evidenced by more than a few teams’ struggles this season — the Miami Marlins firing their manager almost a month into the season or how Ryne Sandberg resigned from the Philadelphia Phillies in June, for example. Success in a single season usually isn’t indicative of how successful or qualified a manager might be. That’s why even if a first-year manager has early struggles, normally they’ll be given some leeway. It’s when the same struggles continue over multiple seasons that the pressure starts to build. Unfortunately for managers, they’re a lot easier to complain about and remove than a million-dollar, fan-favorite player. 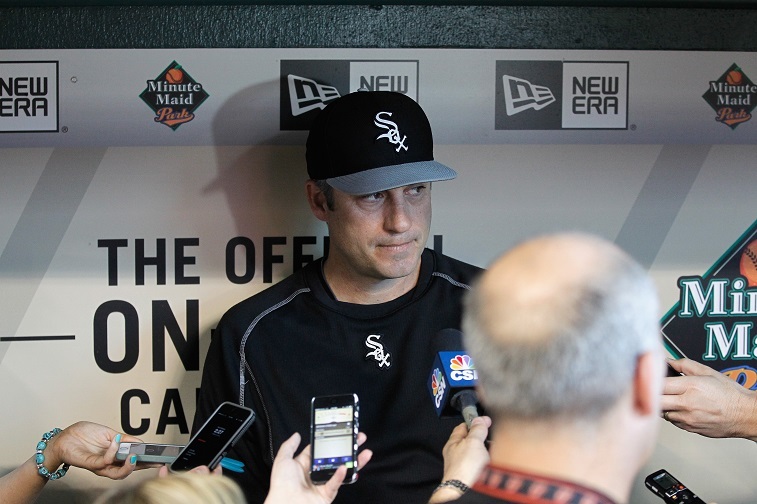 And based on that, here are four coaches currently residing in managerial limbo. 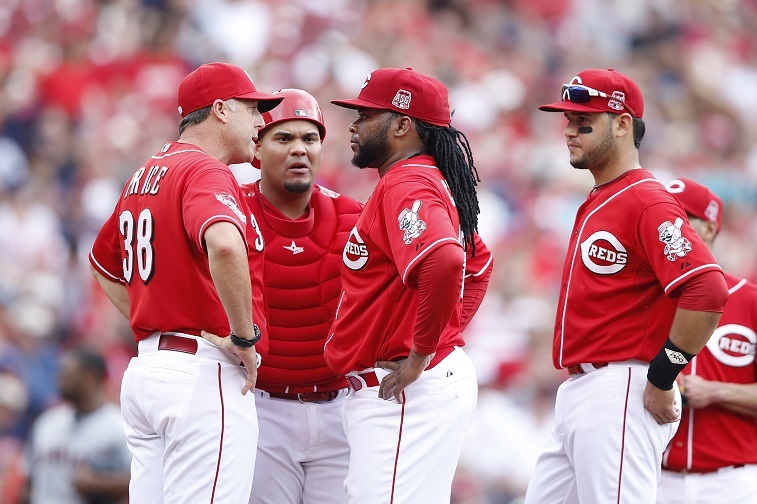 The 53-year-old Reds manager is probably on his last straw in Cincinnati. In two years since he has taken over the team, the Reds have a 118-137 record. Bear in mind that this followed Cincinnati winning the NL Central in 2010, 2012, and making it to the wildcard game in 2013. Considering the amount of talent on the current roster, Cincinnati started this season with a “playoff-or-bust” mentality. And it doesn’t help Price or his team that the Reds are in one of the league’s best division, making a spot in the playoffs even less realistic. The Reds have also been rumored to have some of their best players available on the trade market come the deadline. It seems evident that Cincinnati’s bound to sell by next week’s deadline — anything short of a miracle probably wouldn’t even get them into the playoffs. And when a team cleans house midseason to stock up on young players, it’s just as likely the front office will continue to clear house in the offseason. 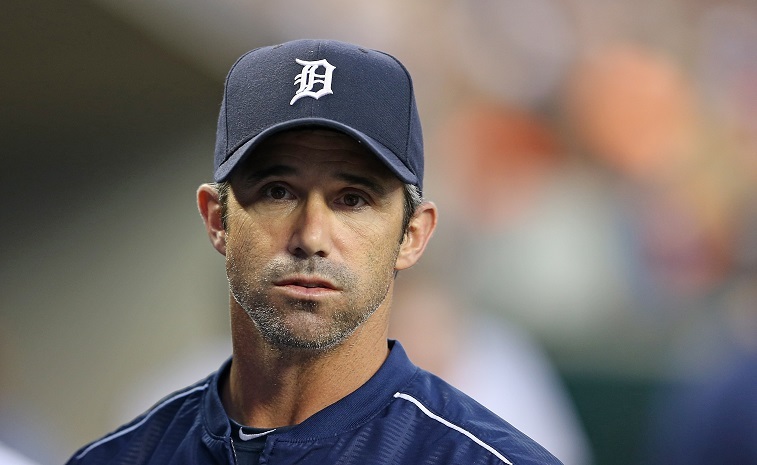 When Detroit replaced veteran coach Jim Leyland with young, first-time manager Brad Ausmus before last season, there were some questions. After all, Ausmus was just 45 years old at the beginning of the 2014 season and had zero experience as a professional manager. But he inherited a very good Tigers team; a team that won a fourth-straight American League Central in his first season. Furthermore, he had finished his playing career in 2010, and just four years seems a far cry from making the transition from player to coach. Either way, Detroit’s season has been disappointing so far. Currently, the Tigers are third in the AL Central with a .500 record, sit 10.5 games back of the Kansas City Royals, and if the season ended today wouldn’t make the wildcard game. Calling Ausmus’ tenure a failure would be an overstatement — after all, Detroit did win the AL Central a year ago. A disappointment seems more fitting. Detroit has a team full of superstars — aging ones though — and not to maximize that potential seems like a waste. Ausmus finds himself on this list because success isn’t black or white: it’s relative. And as of right now, third place in the AL Central and missing the playoffs likely won’t be an acceptable result. More of a similar situation to that of Ausmus than of Price, Ventura and the White Sox have struggled since his first season in 2012 when they finished eight games above .500 with an 85-77 record. They’ve been trending downwards since that inaugural year. The team finished dead last in the division in 2013, and second-to-last in 2014 with a 73-89 record. Taking into consideration the amount of talent the front office brought in for Ventura this past offseason, and the team’s tumultuous past three seasons, Ventura might be well on his way out. 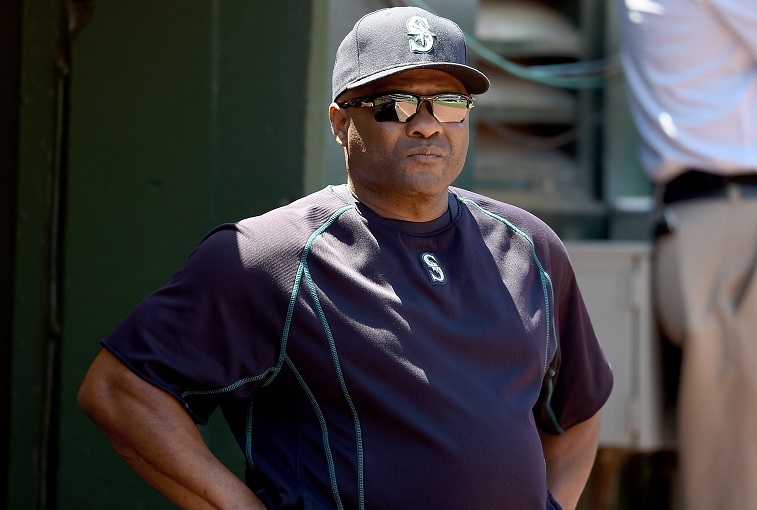 In his second stint as a manager (the first being with the Pittsburgh Pirates from 2001-2005), McClendon’s had an interesting tenure in Seattle. In his first year, the Mariners finished 87-75 despite missing the playoffs. 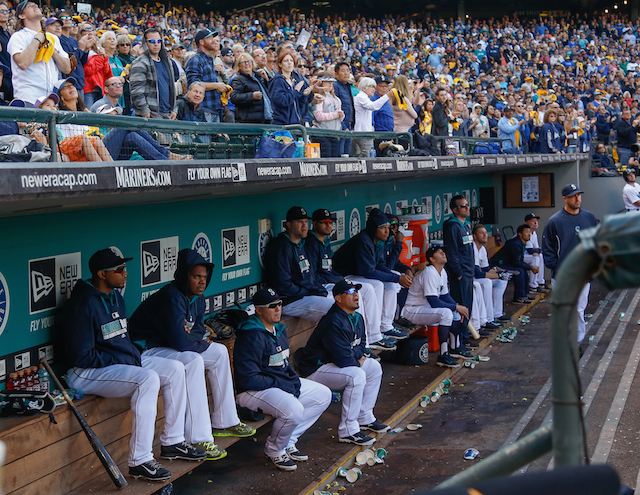 When Seattle signed both ace Felix Hernandez and second baseman Robinson Cano to long-term deals in a matter of only a year, clearly the front office was sending a message: They wanted to win. If McClendon and a highly touted Mariners team miss the playoffs again — which seems likely at 43-52 right now and 7.5 games out of the wildcard — he might have to go. Both Hernandez and Cano are in the peak of the careers, and Seattle needs to utilize that sooner than later. Whether McClendon’s the right guy to do that remains to be seen. But if he’s not, the Marines’ front office isn’t going to sit around and wait to find out.